Easter is always fun at SplashnParty and this year promises to be no different. 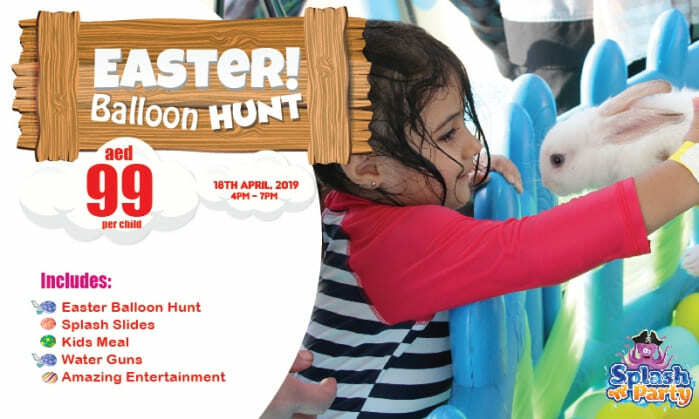 Join us on the 18th of April from 4pm - 7pm for lots of fun, including an Easter Balloon hunt, use of the splash Slides, a kids meal provided by our on site cafe, water guns and of course, our amazing entertainment team will be on hand to provide the award winning entertainment. All of this for just 99aed per child.